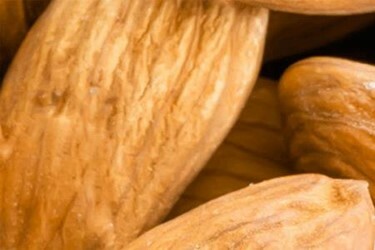 Almond farming and harvesting inherently run the risk of including undesirable foreign objects together with nuts sent from the field to processing lines. Selecting and implementing an effective system for finding and removing those contaminants and maximizing product yield are critical to brand protection, food safety and bottom line efficiency. Many farmers and processors alike use conventional technologies such as magnets and metal detectors for the detection and removal of metal contaminants in their process. Most metal detectors remove contaminated product via a sweeper reject that clears product from the entire width of the belt. This ensures the contamination is eliminated, but also rejects much of the good product to be sent for rework. While these technologies provide adequate protection against metal contamination they cannot protect against non-metal foreign materials encountered during almond processing. In addition to metal contaminant inspection, color and hand sorters are commonly used to remove rocks and other visual defects. However, these are not entirely accurate due to the stones having a similar shape and color as the almonds.